Minecraft is a relatively simple game, which is played by millions. However, it can be memory intensive, but using Optifine FPS Boost Mod for Minecraft can help eliminate and free up memory and certain effects in the game. It will also enhance and improve other aspects of the game. The Optifine Mod offers gamers the opportunity to set or change how their world appears. This mod is very complex, but user-friendly. It is compatible with 95% of all other mods. This allows you to set the environment to your preferences. Basically, you will be enjoying Minecraft even more than you do now. Users will have the option to remove any fog, either close by, or in the distance. This will give you a full view without any obstacles. The Optifine FPS Mod for Minecraft gives you complete control of your weather. Clouds can be made thin or taller and more robust. If your computer is a few years old and isn’t top of the line, this mod can help you see smoother and more effective graphics. You will get to adjust the setting to a minimum so you will have less lag and more opportunity to completely enjoy the game. 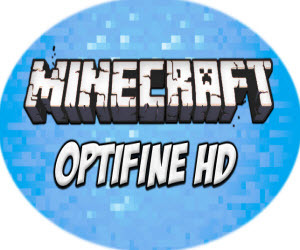 The Optifine FPS Boost Mod for Minecraft has several main features that gamers will love. They each have their own job to do. Whether, it is to make the game have less lag or change the blocks for a smarter block generation, it has you covered. Gamers that have a preference to certain weather climates can be in full control of the outside elements. Do you want to have layers of snow or none at all? Users can adjust or remove texture maps, never be bugged by snow or rain again. Another fantastic feature of this mod is that you will no longer have to log out of the game to change your game settings. A menu is available in-game to allow you to customize your preferences. This mod will also allow you to disable or enable all animations to your desired choices. The Optifine FPS Boost Mod is highly recommended for those just beginning the game and for those that are seasoned players. By using this mod you will not need any other program installed to patch Minecraft. The mod provides all the packs you will ever need. The on-screen Menu allows you to have access to many choices of the game. Gamers will get to choose their graphics speed, depending upon the system they are playing the game on. You will have options to turn on or off smooth lighting. There are numerous texture packs that you can tweak your play with. Decide exactly what details you want to show up, or which you want to bypass. One of the options, is the performance menu, you can set it at a minimum or maximum FPS. There is a quality menu option, which you can also adjust to suit your needs and that of your device you are playing on. Users can choose advanced OpenGL settings of fast or slow. The ability to adjust your brightness setting, without having to log out of the game will help you to quickly set the screen to your desired look. This mod will do all of the hard work and allow users to basically point and click for their personal preferences. Gamers need mods like this to help enhance and maximize their game play time.